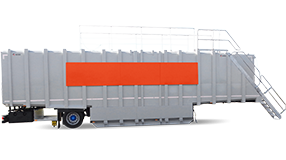 KOKS Group is an international manufacturer and supplier of ADR (Ceoc) vacuum trucks and heavy industrial cleaning equipment. Since her foundation in 1989, the Dutch company KOKS Group has grown into a globally operating, dynamic company, consists of seven specialized subsidiaries in the USA, The Netherlands, Czech Republic and Saudi Arabia. 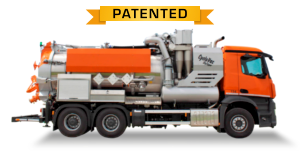 As a progressive, innovative, solvent and reputable vacuum truck body builder, KOKS Group has gained an excellent reputation in the oil & gas sector, (petro)chemical sector and other industries. 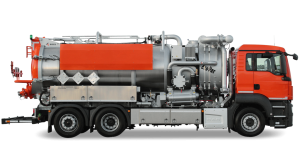 The best of the best ... ADR (Ceoc) vacuum trucks manufactured with passion for you. In our state-of-the-art factories, KOKS combines the best of both worlds. Experienced craftsmen and modern production equipment, such as welding robots and tank rollers, ensure optimum efficiency and top quality. And you benefit from that. Our innovations inspires your growth and success! 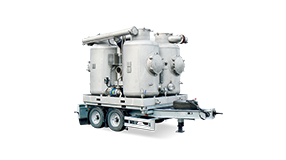 Operating your ADR (Ceoc) vacuum truck better, faster and with more pleasure: isn’t that wat you want? Every day our engineering departments in The Netherlands and the Czech Republic are looking for innovative solutions which will help you further. We are constantly calling forth all our skills to find new ways in order to enable your company or organization to innovate. What else does KOKS do? As well as producing vacuum trucks under its own name and heavy industrial cleaning equipment for the industrial sector, KOKS has also established further factories in different sectors. KOKS also has the exclusive rights of representative for a number of well-known companies.